NEW DELHI / TimesofIndia: Students across the country will be able to hear lectures and interact with academicians on TV as the Human Resource Development (HRD) ministry and public broadcaster Prasar Bharati are planning to start 50 educational channels by May 1 this year. HRD officials said under this project, which to their knowledge had no parallel across the world, the number of channels would be increased from 50 to 1,000 and has the potential to be viewed on 167 million TV sets and benefiting a population of more than 67 per cent in the country. 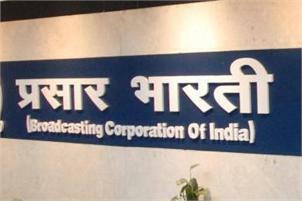 As per an agreement signed by Prasar Bharati CEO Jawhar Sircar and HRD secretary Ashok Thakur on Thursday, while the public broadcaster will provide expertise in carrying the channels on a DTH platform, the ministry would focus on providing content of the programmes. The channels will run structured programmes the content of which will originate from institutions like IITs, IGNOU, State Open Universities, Central Universities, NITs. Each channel shall deliver mostly live telecasts, 9 hours a day, which will be repeated in the next 15 hours, HRD officials said.